AfriClassical: Univ. of Missouri-St. Louis: Tema Choir of Ghana 7 PM Oct. 10, J.C. Penney Aud. ; Trinity United Church of Christ Choir Oct. 11, 2 PM Benton Hall Aud. Univ. 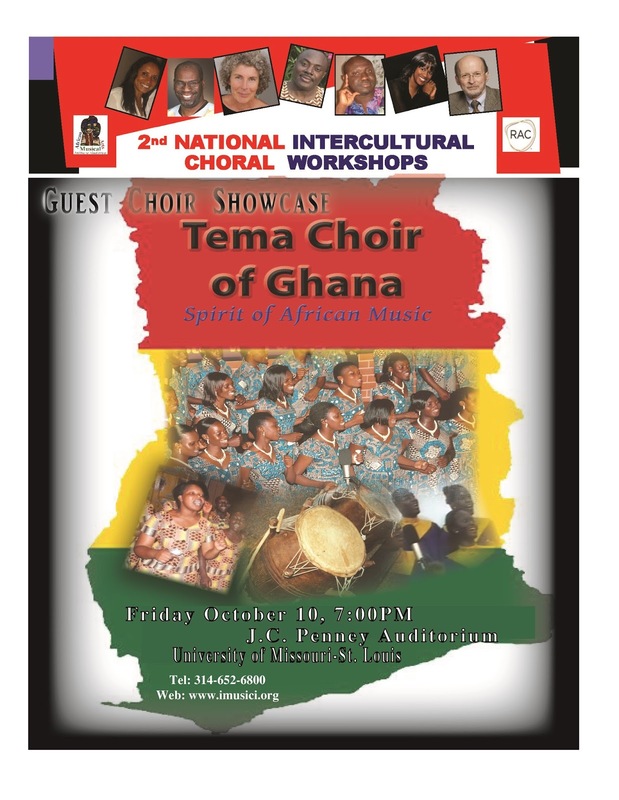 of Missouri-St. Louis: Tema Choir of Ghana 7 PM Oct. 10, J.C. Penney Aud. 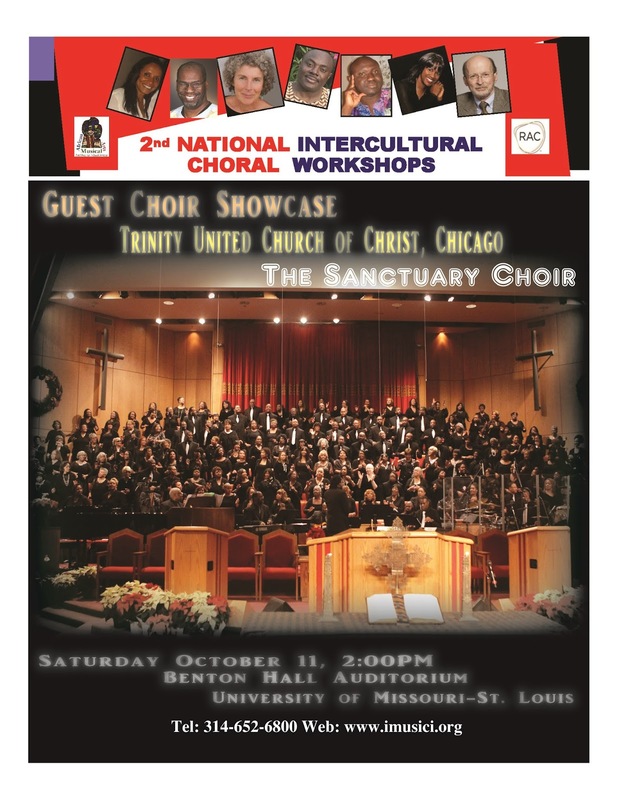 ; Trinity United Church of Christ Choir Oct. 11, 2 PM Benton Hall Aud. Kindly share Guest choir concert fliers with your wide network of readers. Our offer remains that registrants who mention your AfriClassical Blog will receive deep 15% discount off entire conference. Folks, meet us in St. Louis!